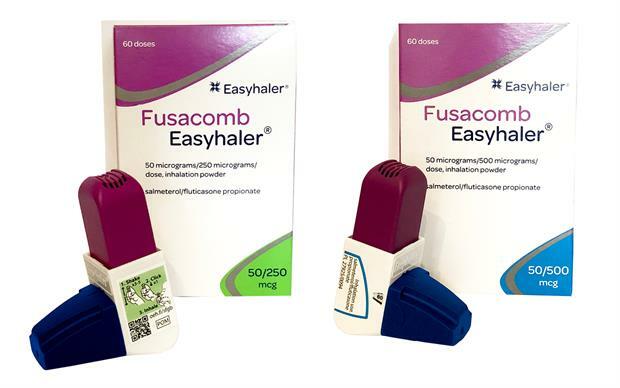 Fusacomb Easyhaler (salmeterol/fluticasone) is a new breath-actuated dry powder inhaler for adults and adolescents with asthma and adults with COPD. 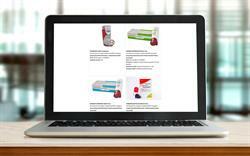 Fusacomb Easyhaler contains the long acting ß2 agonist (LABA) salmeterol and the corticosteroid fluticasone in a breath-actuated dry powder inhaler. It is indicated in adults and adolescents 12 years or older for the regular treatment of asthma where the use of a combination product (an inhaled corticosteroid and a long acting ß2 agonist) is appropriate. It can be used in patients not adequately controlled with inhaled corticosteroids and 'as needed' inhaled short acting ß2 agonist, or patients adequately controlled on both inhaled corticosteroid and a long-acting ß2 agonist. For COPD, the inhaler is indicated for symptomatic treatment in adults with a pre-bronchodilator FEV1 less than 60% predicted normal and a history of repeated exacerbations, who have significant symptoms despite regular bronchodilator therapy. 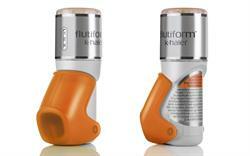 Like all dry-powder inhalers Easyhaler is inspiratory flow-driven, which means that the powder will follow the inspired air into the airways when the patient inhales. 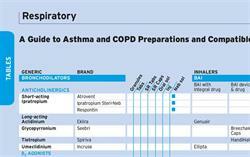 The inhaler is pre-loaded and primed by pressing. It has a dose indicator that counts down in intervals of 5, with the last 20 doses marked in red. Fusacomb Easyhaler is available in two strengths, 50/250 microgram and 50/500 microgram, and is taken as one inhalation twice daily. The dose should be titrated to the lowest dose at which effective control of symptoms is maintained.